"Hey, bub, I'm not finished with you yet." Academy Award-nominated actor Hugh Jackman has played so many unique roles for many different directors, from my all-time favorites including Christopher Nolan and Darren Aronofsky, to many others. This weekend he appears for his seventh time as Wolverine, aka Logan, in X-Men: Days of Future Past, directed again by Bryan Singer who first started it all with X-Men back in 2000. 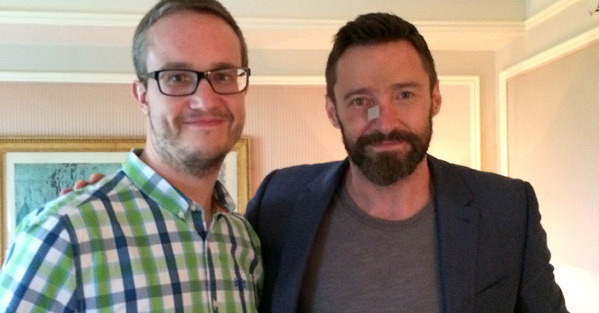 I was incredibly lucky to have a chance to sit down with Mr. Jackman for a 15-minute one-on-one chat about everything from The Fountain to Wolvie creator Len Wein to the lessons he's learned as Logan. First, I must say I'm a huge fan of, specifically, The Prestige and The Fountain. Hugh Jackman: Thank you, man. I am too, actually. I recall you saying this at Comic-Con, I think it was, that The Fountain is the one film that you hear the most vibrant enthusiasm about out of almost any other movie you've made? Hugh: Yes. Of all the movies I've done, less people talk about The Fountain than some other movies, but to a man or woman, they are the most passionate responses I get in the street. The people who love it, love it deeply and really get a lot out of it, and when they talk to me, usually they are the kind of people who don't want to come up and say anything. It's generally the kind of person who is like, "I don't want to bother you, but I'm sorry, I have to say that…" And they do. I always like it when people stop me for that, because I can tell usually, generally, they are a little embarrassed to come up, but they feel like they just need to say… And they usually do it in a way of, "I just want to say thank you to you and Darren for making the movie." Do you notice there are different levels of audiences and different kinds of people who re moved more by some way you act in this one versus your performance in another movie? Hugh: Totally. But it surprises me what some people say and what they love, no more than X-Men, actually, because it's a really wide range of people. Not just men, women as well, and not just young men. Sometimes 50 year olds, 40… It really is a wide range, actually. And it's the one thing I'm most known for when I go around the world. Most people in the street go, "Wolverine!" They know I'm Wolverine more than they know Hugh Jackman. So are you the ultimate authority on Wolverine then? But you represent him in so many ways. Hugh: Yeah, but I imagine for comic book fans, some might go, "Look, that's a version of Wolverine, but that's not my version or that's not the comic [book version], or may not be the Chris Claremont…" At the beginning I read a lot, even though Bryan Singer didn't want any of us to read comic books. He was afraid that people would come out with some idea of what a comic book was in terms of interpretation. So I read a lot at the beginning, and then I found myself getting a little confused, actually, because there's a lot of versions of it. I was like, "Oh, I see. So the writers and [artists] actually come up with their version of it." At some point around X2, I was like, "You know what? This is my version of it." So, occasionally I'll dip in and have a look, and I get a lot of inspiration from the artwork, because if you have to do an action sequence in 15 plates, you have to use a lot of economy. It's really brilliant what they do. So is there an ultimate authority for the screen version? Does Wolverine co-creator Len Wein still come in and consult? Is it just the studio saying, "Hey, we want Wolverine to be this"? Or are there actual comic people responsible for his evolution? Hugh: It's really interesting. There is more synergy between the worlds now. Now, as in when you made the first X-Men? Hugh: Yeah. By the way, from the first X-Men, Bryan, Kevin Feige, who worked on the film, who worked on X2 as well, and Tom DeSanto, and Feige, and Lauren [Shuler Donner], they were really hooked in with the comic book world, which wasn't as organized as it now. Comic-Con, I think, was maybe 50,000 people back then. So they were part of that niche. And David Hayter as well. I remember the first day when we turned up with our suits on… I was not a comic book fan. I don't remember, but I wouldn't be surprised if they had tears in their eyes, what that day meant to them. I remember going, "Wow…" We're in our team uniforms, our suits, and I remember thinking, "I can't move in this thing" and falling over that little brick wall; it was about this high and I fell over it because I couldn't move in my suit. But I could see what it meant to them. So they were hooked in with the world naturally without any official term. And they knew that world. Then I think it became more… I don't know, less about hooking into the comic book world and finding a filmic language. And I think it's gone back now to realizing the more synergy there is… there's actually people on staff at Fox who consult and were on set all the time. Len was on set for this. He came and visited. In fact, he's got a cameo. Don't give that away to the fans. Hugh: You didn't see it? No! I'm going to have to see it again. Can you give us a hint as to where in the movie? Hugh: Yes. The scene in Paris. The Paris Peace talks; the peace accord in Paris. The scene with Peter Dinklage. Hugh: I'm in touch with Len a lot, actually. And now there is a lot more of that kind of synergy. I think people have learned a lot from Marvel. I mean, Kevin Feige got started on this and now has gone off to start [Marvel Studios], and realized the more you link up, actually, and the more you show a bigger picture to the world, the more fans get out of it, and their famous 15 year plan… It's way more what Fox is doing now. I don't know exactly what it is, but I know there is a plan, because I could feel it on The Wolverine that Bryan was involved with that. Bryan saw an early cut and, "Where are we going? How's this going to play in? How are we going to follow the characters through?" I think that's real exciting. Hugh: Exactly. I don't think we've seen that any more than in this movie. And Bryan consciously… you feel that coming, well, maturing, I suppose. And you are right. It makes it feel more epic in that way, which these movies always should, because they are quite epic, I think, at their core, mythically. I also think what Bryan and [screenwriter] Simon [Kinberg] did so well is they have kind of wiped the slate clean of any sloppiness that has been there in the evolution. Now we have a chance to reset it, in a way. I shouldn't use the word sloppiness because let's not forget, when X-Men came out there was no genre. There was no idea that it was going to be a hit, let alone… I mean, people lost their jobs, remember? There was no idea that this was going to be even a second one, let alone a genre that would branch out. So I think it took a while. It was kind of movie by movie. And then, Bryan was going to do X3 but he pulled out and we have a new director. So there wasn't that synergy, nor would you expect there to have been. But I think that's been caught up. I think Marvel has been a big reason why, and other people have learned it, and Warner Brothers is doing the same thing now with DC. I think it's smart. Hugh: Following character arcs and tracks, and this person died but they didn't, they're back. All that stuff. I think that desire to go off and have fun caused some sloppiness, and now we're back to the darkness. I wonder if that's something where it's simply a timely thing or if it's something where that darkness is related to the natural humanity and mutant nature of these characters and what they're going through? Hugh: It's interesting. I feel there are more demands from a summer blockbuster in general than just eye-candy, that people want character, and people… My almost-14-year-old son was talking to me about climate change. He said, "The whole thing about that there's a tipping point and it's all maybe too late, is this all about climate change?" I'm like, "I haven't thought of that." But I think people are not shy and understand the tones and the themes that are going on. It's an interesting point. I think there's an audience desire for it. I think [Chris] Nolan, in a way, took what Bryan started even another step to saying, "Okay. Yes we want fun. Yes we want spectacle. And you want to have some jokes. And you want to be able to have a laugh and a wry smile. But I want to think about it a little bit afterwards." I think it's important. Otherwise, people are going to get bored of it really quickly. Having played a character like Logan for so long, for so many years, what are the greatest lessons that can be learned from him? What are the greatest lessons you've learned and that you hope other people learn from watching him over so many years? Hugh: He's someone who lives with a lot of regret and pain and, weirdly, vulnerability underneath. His natural thing, which I think is the same for a lot of people, is to retreat, to be a loner, to not rely, to not trust, to actually close off from the world. His journey has been, probably because he's been encouraged by Professor X and maybe Jean and others, his journey has been to actually open up and to actually trust and learn to rely on other people, which is not in his DNA. I don't know. I don't want him to completely do that because I don't want him to lose his badass kinda quality. I think it's a great thing to learn, that idea that, yeah, everybody finds it hard to trust and relate. That's just one side. There are so many different sides to him. I think his loyalty is pretty awesome. I think for me—who is more of a people pleaser by nature, way more than Wolverine—to play someone who just follows his instincts on things is awesome. Indeed. Well, thank you. I appreciate the chat. Hugh: Thank you, man. I'll be interested to see the fan response to the movie, the serious fan response. 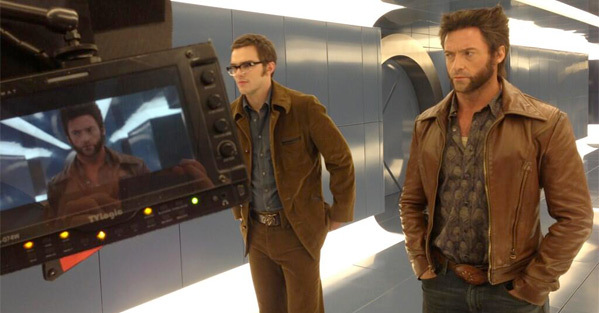 Bryan Singer's X-Men: Days of Future Past hits theaters everywhere this weekend, May 23rd. 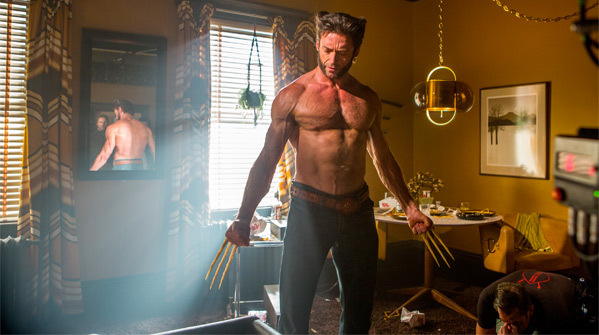 You can also see Hugh Jackman in James Mangold's The Wolverine, which is now on DVD/Blu-ray. Thanks for reading. Congratulation on getting the interview with Hugh Alex! I am all set for tonight with tickets for X-Men: Days of Future Past and I could not be more excited for this! Hugh Jackman seems like the nicest actor on the planet. I have never read anything about him that does seem like genuine charisma. Thanks AB. Love Jackman. Such a good human being. Alex, do you ever record your interviews on film? And if so, could you post the video with the article? Yes, sometimes (it depends every time) and I did actually record this one on video. However, he shifted in the last half and the framing looked terrible so I had to can it and go with text. I wish I could run it, but I just can't present a video like that. I always try my best to shoot on video - I have one from Cannes coming up that was shot on my Flip. Awesome! Yea as great as it is seeing actors being interviewed, it's just as great seeing the people (you the creator of FS.net) who us fans come to read your sites on video, actually getting the opportunity to interview that actor.